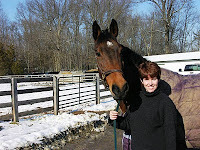 I fell into leasing my mare, Sugar, quite by accident. 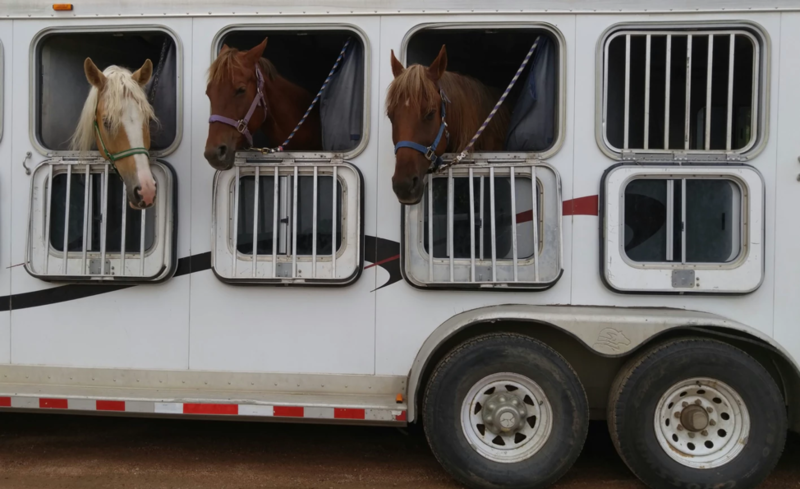 I had just started considering the possibility of leasing, was feeling my way around the financial realities of horse leasing, trying to get my husband on board ("It costs WHAT???? "said my fiscally conservative spouse) when the opportunity to look at a few potential leases came up. I had my best friend and former trainer come look at the one prospect I felt was a good fit, and she agreed he would be a good teacher for me. However, that opportunity fell through, and about a week later my girlfriend Cheryl (following the misery loves company priciple -did I mention she and her daughter have 5 horses between them?) called me to tell me her daughter's trainer had a horse I might like. Knowing that I was NOT a fan of mares, Cheryl's daughter Kendall got on the phone and told me, "She's not a typical mare, she's butch- you'll love her!" 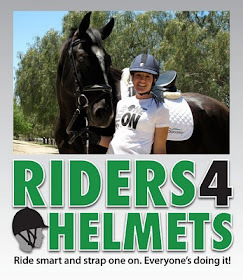 Did I mention that Kendall was 15 going on 35 at the time, rides on the Big Eq circuit, and is my equestrain role model? So, as I had the approval of the 2 most trusted horse folk in my life, I drove up to New Hampshire , with family in tow, to meet Sugar. Sugar was 12, had been a broodmare in Holland for much of her life, and apparently thought she was a large Golden Retriever. Anyone who gets within reaching distance is treated to a tongue bath. My friends had called her a big girl, and she is, standing close to 17hh. She's also built like a brick outhouse, which is something that has been said about me. I hopped on her and Kendall's trainer put us through our paces. I was less than a year back into riding, and to say I was advanced beginner was being generous. Sug had been a broodmare most of her life, and at that point had been back under saddle for maybe a year and a half. To say we were fairly green was an understatement; however, we got along well enough and most importantly, she was calm and willing (although we did have a slight disagreement over the canter departs). I tried her again the next day and told Gretchen if we could work out the financials I'd lease her for a year. A week later my rented mare got off a trailer en route to the Gulfport, MS winter shows and looked around at her new surroundings for about a nanosecond before lowering her head to eat the few shoots of grass poking out from the snow. I walked her around to help stretch her legs, and she gazed arround, completely unimpressed with her new digs. She met my children, and I could immediately see that she'd been a mom. She licked them, nickered to them, and nudged them into place with her big schnozz. Her eyes followed them everywhere they went, and if they looked like they were up to no good, she immediately reprimanded them with her deep rumble. So the journey began. Two out of shape, long in the tooth moms getting to know each others faults, foibles, and good points.